These should all be requirements for anyone looking to buy an elliptical machine. This is the bare minimum in essence, yet such machines are not as easy to locate on the open market as one would assume. There are many options you can end up sifting through before being able to pinpoint the right fit. 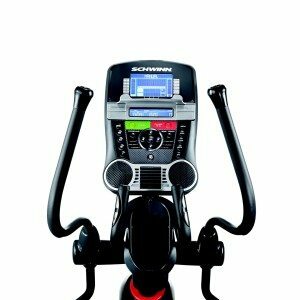 Schwinn promises to deliver a high-grade option with their elliptical machine named “Schwinn 470”, but does it truly live up to the hype? This review will dig deeper to see whether or not this is a substantial fit for a home gym. 15) 10 year frame warranty, 2 years coverage for mechanical issues, 1 for electrical & 90 days labor costs are offered. Let’s begin with how it runs. 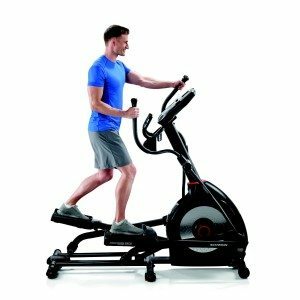 An elliptical machine which does not operate smoothly will lack quality. It simply is not going to have a nice feel which will lead to pain and joint problems down the road. The Schwinn 470 does an exceptional job of being easy on the body (i.e. joints) in the long-term. A machine whose drive mechanism runs smooth is a must considering the fluidity of the exercise. If there are any jolts along the way, it can cause injury and that is a risk not worth taking. The company has done an exceptional job making sure their machine performs like this and is easy on the body throughout. Yes, it is quite the workout, but in a good way. A lot of physical pressure will be placed on the machine during workouts. It is only natural to want a machine that will be able to handle the rigors of this pressure and last. Imagine paying a substantial amount of money for a machine of this nature for it to quickly break down. How would that feel? Schwinn has made sure to build the machine in a manner where it will last for a very long time. The quality of their materials and craftsmanship is exceptional, keeping with the tradition at Schwinn. They care about what they are putting out on the market and that is a must in this day and age where reputation can sink a brand. The durability of this machine is never going to be in question. It is as sturdy as they come. There are 29 different workout programs on offer with this machine. There are options including 2 fitness tests, 9 heart rate control programs (beginners, advanced, and custom), plus recovery tests as well. The best part about these programs is not the quantity, but the variation on offer. There are other machines which simply don’t have this level of quality across different experience levels. The machine is going to push an experienced gym goer just as much as it would push a beginner. This is the beauty of what Schwinn has brought forward with this machine. The programs are going to push one hard and they are perfect for people of all sizes. Why not go with a machine that is going to have so many programs to sift through? Feel like going hard one day? Well, take on one of the advanced programs. Want to go light the next day? Give the custom programs a chance. The value is there for all scenarios and that is where Schwinn’s attention to detail comes to the forefront. Let’s move onto the rather impressive display feedback. It is unique because of how easy it is to read from all angles. The designers have made sure it is not going to be a bother for those who have poor eyesight or who are working out in dimly lit rooms. Being able to flip through different user profiles (up to 4) makes it versatile for families or those living in shared apartments. The ability to quickly run your last program or alter your favorite workout along the way is a nice time saver and lets you personalize your time on the machine. Very useful in busy households. 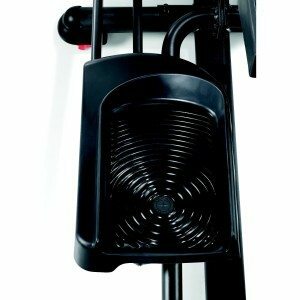 There is always one worry a person is going to have when it comes to elliptical machines. They can make this ‘whirring’ noise that can become annoying in a hurry. Does this machine cause such worries? No, it does not and Schwinn has made sure to get on top of this right off the bat. The way they have set it up, the elliptical is going to be relatively quiet. Most users who have put this through the test have stated it is as quiet as it gets. This is a machine which is going to go unnoticed while being used and that is how it should be. Schwinn as a company does an exceptional job as well and this should not go unnoticed. It is one thing to have a great product and there are many brands who do this in the fitness world. Yet, it is another thing to make sure the product is backed up with great service. 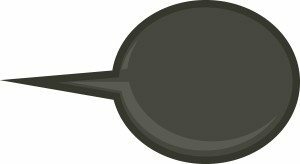 Schwinn provides great customer service and that is key moving forward. Have a problem with the machine? Want to have it fixed? Want to have it looked at? Well, they are not going to argue with you at all. 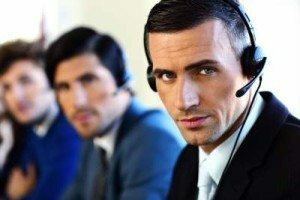 Their customer service has a proven track record and relatively quick response rate. That’s because they don’t farm it out overseas. It is a must to take space into account when choosing an elliptical. So if you don’t have a custom built home gym will this fit into your living space? This is a reasonably compact machines that is not going to get in the way too much, certainly not length wise anyways. It is sized at 70.1″ L x 28.2″ W x 63.2″ H.
The world is quickly moving in a new direction when it comes to working out. The days of manually recording everything that is being done in your workouts should be well in the past. Most people wish to be able to connect their machines to the Internet and access information there. Schwinn Connect makes sure this is a possibility. The user interface is out of this world and is as unique as it gets. You get a range of data to work with that show how you are performing and where you are improving or lagging. The A40 is certainly up to speed with modern technology. Can a home have too many charging ports these days? Want to charge your iPhone or related device while you are working out? Don’t want to have to wait around and/or look for a charging port? 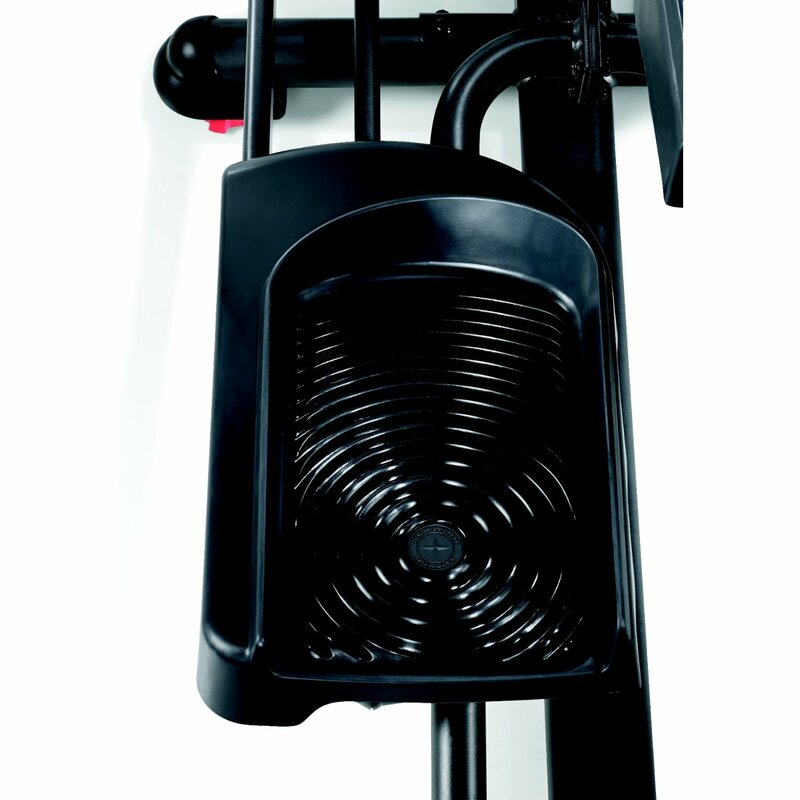 Plug straight into the machine and charge any compatible device while you work out. Is there a con with this machine that should be noted down? It is an exceptional machine and the positives should say all about what it has to offer. However, like all things in life there has to be some drawbacks somewhere along the way. In this case it would have to do with the assembly process. There are quite a few small parts and that can take up time while putting it all together. A great tip for this would be to make sure you download the guide online to help you with the assembly process. 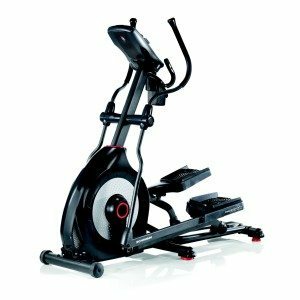 Is this a great purchase for those who are looking to get a new elliptical machine? Without a doubt. It is one of the best purchases a person could make in the under $1000 category when it comes to elliptical machines. It is power-packed and you are not going to find much better than this in it’s price class. 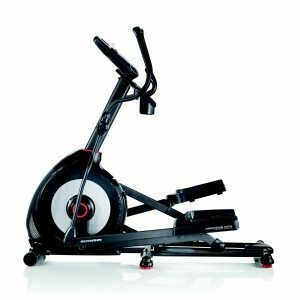 It has the Schwinn quality, the workout variety and robustness to make it a great workout partner.